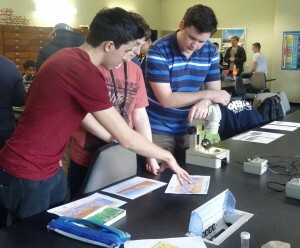 EarthByte helped run the 2015 geosciences workshop for the University of Sydney’s International Science School, with over 140 high school students engaging in activities from a wide range of research topics and teaching areas at the School of Geosciences. Thanks to all the brilliant EarthByte volunteers, including Mandi Thran, Nikita Golkin, Luke Hardiman, Jono Leonard and Carmen Braz. 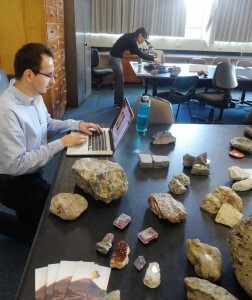 See the School of Geoscience’s Facebook page for more info and photos from the day!